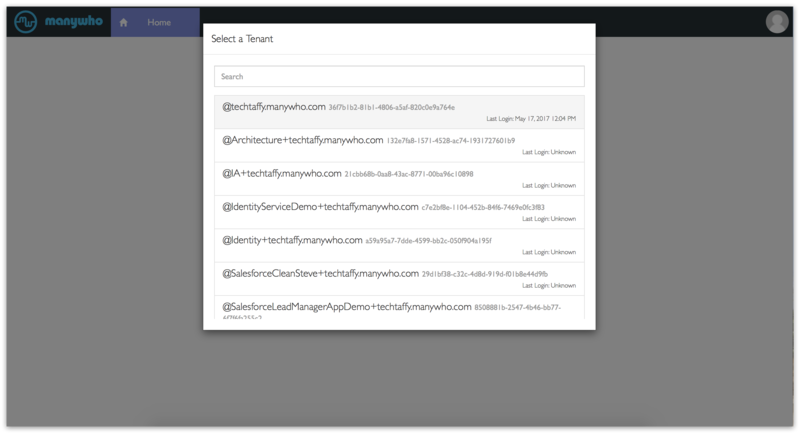 We are replacing tenant-specific usernames and multiple logins, with a single dashboard view of all tenants associated with an email address. You will be able to select a tenant from the list of tenants you have, and access the Drawing Tool and flows associated with that tenant. You will also be able to switch tenants from the Drawing Tool. This sends you an email with a link to reset your password. Once you have updated your password, click here to login. 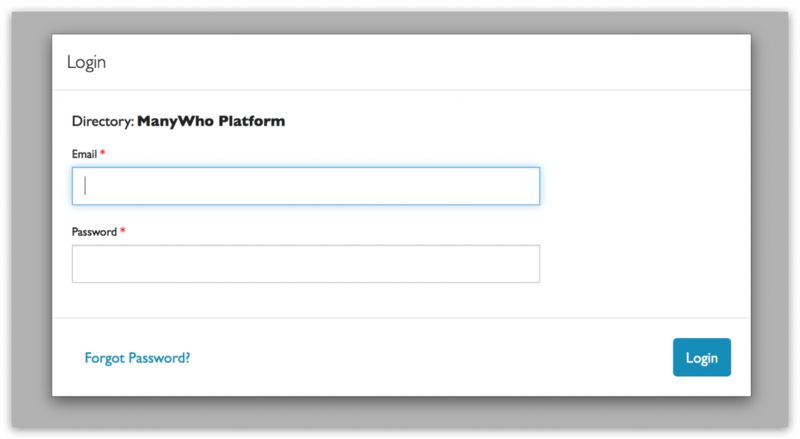 Enter the email address associated with your ManyWho account, the updated password, and click Login. 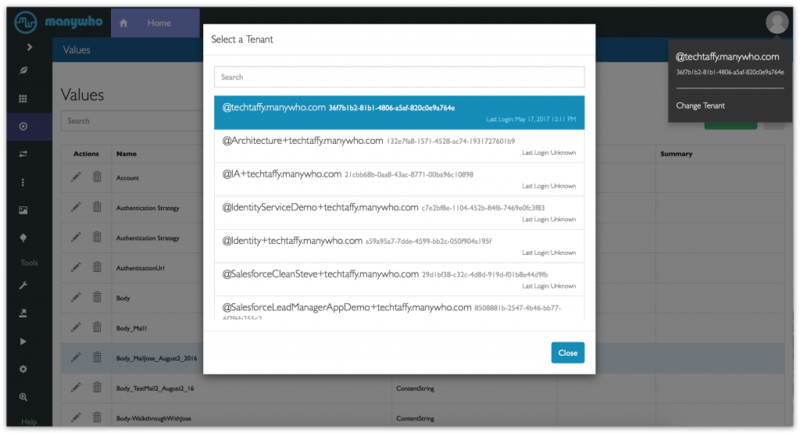 You will see a list of all your available tenants, and the time of your last login for each one of them. Click to select the tenant you want to work in. 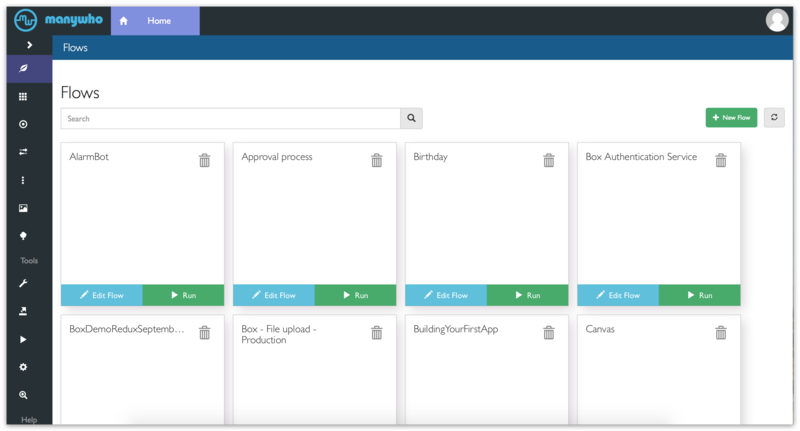 You will be logged in to the Drawing Tool with the Flows tab open. Clicking your user icon pulls up the name of the tenant you are in and the Tenant ID. You can also switch tenants from here. If you would like to switch to a different tenant, click Change Tenant. 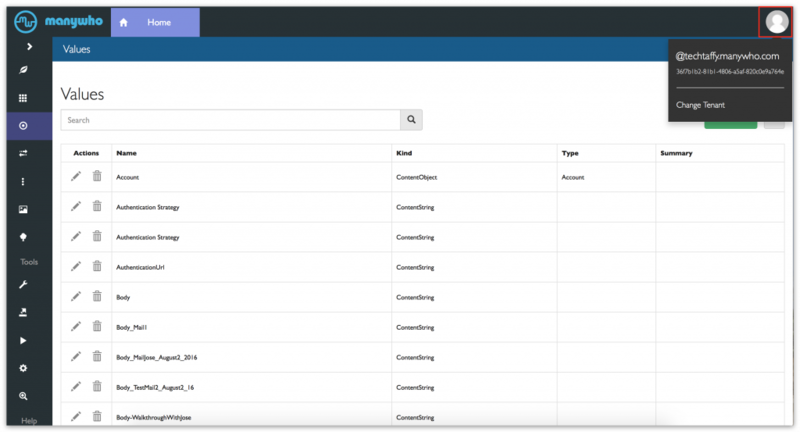 This pulls up a list of tenants, with the tenant you are currently in highlighted. Click to select a different tenant from the list.